We keep your products moving! Conveyor belts can be easily damaged by high-impact applications, especially when operated in extremely hot or cold conditions. Stone, steel, wood, and other heavy material can abrade, tear, and damage standard conveyor belts. The mining, forging, and lumber industries transport very abrasive materials, and therefore require very durable industrial belting systems to meet processing demands. Heavy-duty conveyor belting is required in high-impact applications where rip resistance and durability are a necessity, along with the ability to maintain dimensional stability while operating in extreme temperatures. Only the most rugged, heavy-duty conveyor belts will survive these harsh conditions. Hoffmeyer’s Hercules and Maximus series of heavy-duty conveyor belting is built extra tough to resist tearing, abrasion and wear. Hoffmeyer conveyor belts have been engineered to handle the toughest conveying applications, from hard-rock mining to steel transportation, our multi-ply conveyor belts transport abrasive materials such as cement, coal, granite, gravel, recycled material, iron ore, wood, paper, and pulp. Multiple cover types are available to meet your business’s specific transportation needs. If your business operates in a very cold or very hot environment, Hoffmeyer can equip you with high-temperature belting. Whether your conveyor system operates in a high temperature environment, or you need custom cleating vulcanized on your belt to move heavy materials up an incline, Hoffmeyer can deliver. Hoffmeyer will help you solve your heavy-duty conveyor belting needs for your business’s extra tough applications. Our staff is extremely knowledgeable with more than 90 years of experience in industrial belting applications. Contact a Hoffmeyer rep today to discuss your needs; we will provide the heavy-duty conveyor belting that your business requires to succeed. 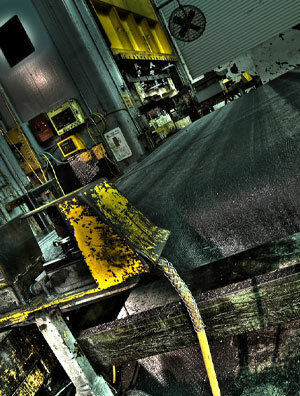 Hoffmeyer is an industry leader and is dedicated to surpassing your expectations. We provide a full line of heavy-duty conveyor belts to meet your company’s industrial belting needs.